How Should I Determine My Goals? I wrote in my last post about how one of the facets of The Incremental Life is to have goals and dreams in mind—a destination to work toward. There are those who have no problems with goal setting, but for those who do, this post if for you. People who have trouble setting goals often fall into one of two camps. They’re either people with little to no ambition, or people who don’t yet have a focus to point themselves towards. My guess is that, if you’re reading this, you’re more likely to fall into the latter group. How do you set goals if you don’t know where you want to go? 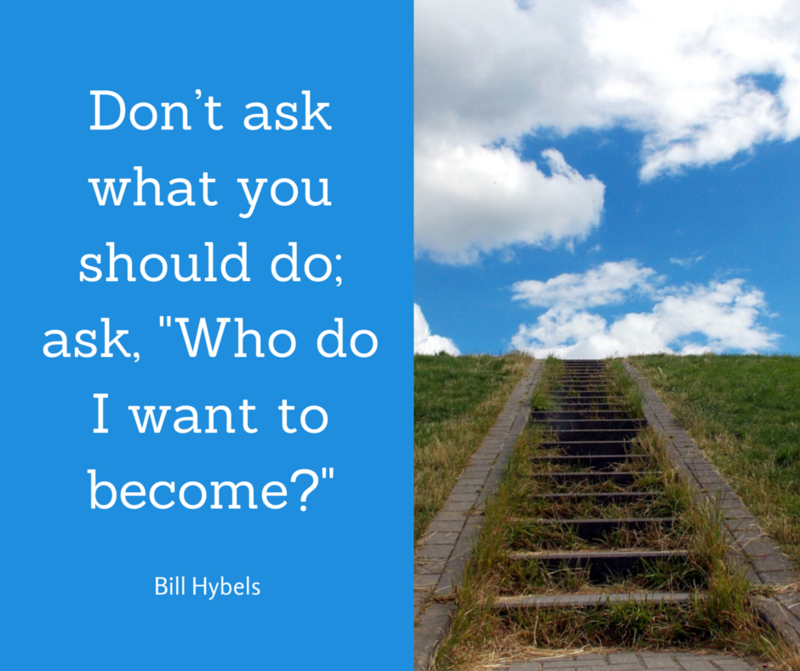 Bill Hybels, in his Simplify sermon series, directs us to ask a far better question. Don’t ask what you should do; ask, “Who do I want to become?” And when you schedule your life around that idea, the rest will fall into place. You see, the choices we make today are taking us down a path to somewhere, but is it where we want to go? Who are we becoming as we walk through life, and are those steps molding us into someone we want to become? Now let’s take it to a higher level. Write out the eulogy you hope someone might give at your funeral someday. That’s the person you want to become. Only then will you be ready to begin writing out your goals.